2. 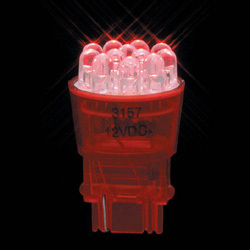 The series of 3157-12LED include 12 pies LED. 4. 6 colors available : red, yellow, blue, green, whire, pink.